In the case of female Boxer dog names, most people normally choose names that are associated with the dog's color. 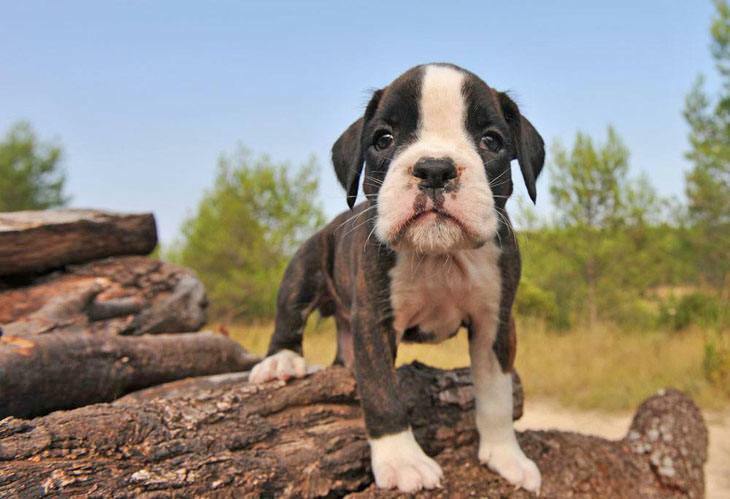 As a result you will find a lot of Boxers with names like Brownie or Fawn. Other dog owners tend to name their female Boxer's after Greek goddess and other supernatural powers because they associate the puppy's muscular build to that of the mythological characters. Boxers are very beautiful and have a balanced body with long straight legs. They are good natured, friendly and show their families lots of love, affection and devotion. This pup also a perfect breed for those looking for a dog that is energetic and has a playful nature. 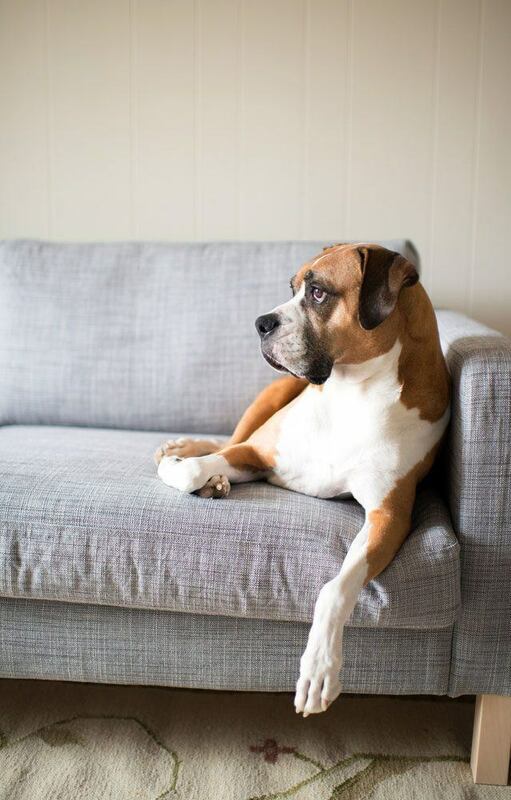 At the same time, Boxers are very dignified and will not bark without cause. They are curious; however, and are normally wary of strangers. Some can even be a little strong-willed, which makes them very protective and great watchdogs. This breed is fearless and will not back down if threatened. They are also a cozy house dog and are very sensitive to extreme temperature, as their short coat does not offer them full protection from cold climates. This breed has a very expressive face, with dark eyes and a wrinkled forehead. Their coats are sleek and tight fitting, which requires only occasional brushing. The Boxer is usually clean and will do some of the grooming themselves. 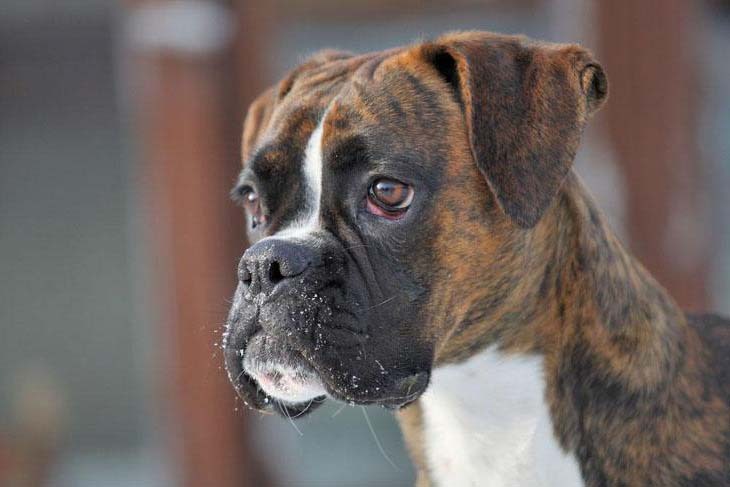 Female boxers mature faster than the males, and they make great companions. The female when fully grown will weigh between 50 and 65 pounds. They also come in various colors such as red, fawn, and brindle with mixtures of white. Azure: An excellent female title for that pup that has dark coloration. This fits well on a Boxer that carries herself well. Darbie: A classical and liberal female name for Boxer choice. A good choice for a pooch that is always trying to escape. Donita: The Latin of gift, this is a pretty cool idea for a loving and adorable female Boxer pup. Electra: Greek in origin, Electra is the perfect pick for an intelligent dog. She will always be shining and bright. Estefany: This is an uncommon feminine name of Spanish origin for your little fun and curious female. Fraulein: The German for "young woman" This can be a great female Boxer dog name for your lady love. Isolda: A female Celtic title meaning fair, this is a wonderful choice for an elegant and beautiful dog. Miracle: This female Boxer will never cease to amaze you. She will be something wonderful to have around. Mocha: An oh-so-cute and fabulous pick for your little girl with the rich, brown, cocoa color coat. Good for an energetic pup. Omayda: Meaning beautiful and sweet in Italian, a unique female Boxer dog name for a pretty and free girl. Taurina: Feminine of Taurus the bull, Taurina is a fitting title for a pup that was born under the Taurus stars. She will be as strong as a bull. Tuesday: A normal day of the week Tuesday is a great selection for a pup that brings you back to the simpler days.